Passport Brunch w/ Emilio Estevez — Art of Culture Inc.
On Wednesday, March 20th, Art of Culture hosted the Passport Brunch with Emilio Estevez. The Passport Brunch is our new friend- and fund- raising initiative to support our Artist Exchange Program. The first trip for our Artist Exchange Program will be to Cartagena, Colombia where Chicago youth artists will have the opportunity to explore and be enriched by Colombian Artists. We have partnered with Experience Real Cartagena for this initiative. We will also host Colombian Artists in Chicago. The Exchanges will include trips to cultural sites, showcases and dialogues about how art & culture shape and sustain communities. 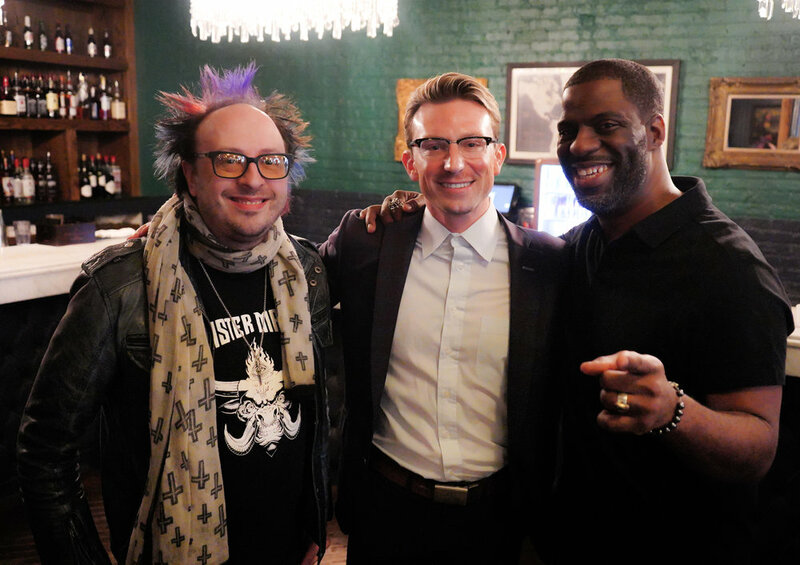 Mr. Estevez was interviewed by our Creative Director Che “Rhymefest” Smith and they explored topics including Emilio’s new film The Public, where Rhymefest makes his acting debut in theaters April 5th, Emilio’s Creative Process and how to build a team. The audience also participated in a Q & A.
We’d like to thank everyone who came out to support our new program and will be hosting more Passport Brunch events as we prepare for our trip to Colombia. Our Artist Exchange Program is also exploring trips to other continents and countries! 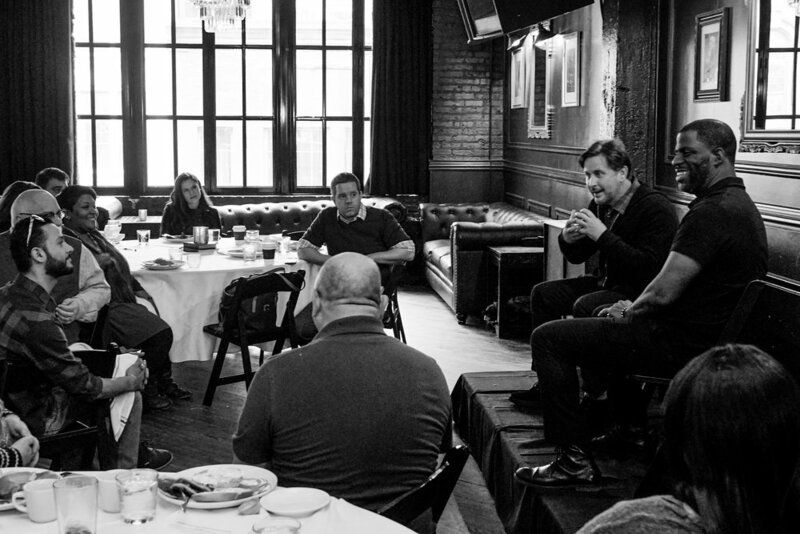 The Passport Brunch with Emilio Estevez was made possible by Hubbard Inn, Damon Ranger and Carmen Rossi. If you are interested in sponsorship please contact donnie@artofculture.org. If you would like to attend a Passport Brunch, please join our mailing list here to be notified of the next Brunch.